The 1x12 Marshall MG50FX combo amp delivers 50W for all those guitarists who want more from their amplifier and refuse to sacrifice tone. 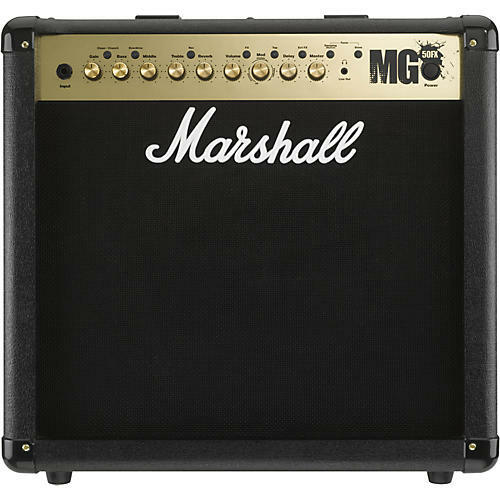 In addition to the superior Marshall MG4 Series sound, the MG50FX amplifier offers you a fully programmable feature set using digitally controlled analog functions for precise adjustments. Store preferred settings for each mode individually simply by adjusting the front-panel controls to your desired positions and then pressing the Marshall MG50FX's Store button. It's that simple.